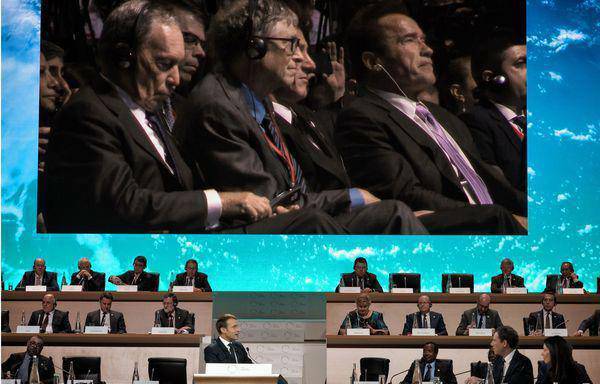 Arnold Schwarzenegger was at the One Planet Summit in Paris to celebrate the two-year anniversary of the Paris Agreement. Aside from his notorious selfie with French President, Emmanuel Macron, Schwarzenegger had an important message about the power of cities and regions to deliver on the Paris Agreement. “Do not worry about the United States dropping out of the Paris Agreement, because our states and cities is where the real action is and they are picking up the slack. In reality, the USA did not drop out of the Paris Agreement, Donald Trump dropped Donald Trump out of the Paris Agreement”. Emphasizing a report from the World Health Organization, which revealed that 9 million people die each year because of pollution, Arnold Schwarzenegger pointed out the lack of discussion on this topic and the importance to include it in the Climate Change discourse. “We should really start talking about the number of people dying everyday because of pollution, because this is a key issue when communicating about Climate Change” he said.